The Motorsportgames.com Website may contain links to third party websites that are not owned or controlled by Motorsportgames.com. Motorsportgames.com has no control over, and assumes no responsibility for, the content, privacy policies, or practices of any third party websites. In addition, Motorsportgames.com will not and cannot censor or edit the content of any third-party site. By using the Motorsportgames.com Website, you expressly release Motorsportgames.com from any and all liability arising from your use of any third-party website. In order to access some features of the Motorsportgames.com Website, you will have to create a Motorsportgames.com member account, which is subject to a separate Motorsportgames.com Member Agreement, which can be accessed at www.Motorsportgames.com/info/member-agreement/. You may not use another’s account without permission. When creating your account, you must provide accurate and complete information. You are solely responsible for the activity that occurs on your account, and you must keep your account password secure. You must notify Motorsportgames.com immediately of any breach of security or unauthorized use of your account. Although Motorsportgames.com will not be liable for your losses caused by any unauthorized use of your account; you may be liable for the losses of Motorsportgames.com or others due to such unauthorized use. You agree not to distribute in any medium any part of the Motorsportgames.com Website, including but not limited to User Submissions (defined below), without Motorsportgames.com’s prior written authorization. You agree not to alter or modify any part of the Motorsportgames.com Website, including but not limited to the technologies it utilizes. You agree not to access User Submissions (defined below) or Motorsportgames.com content through any technology or means other than the pages of the Motorsportgames.com Website itself or other explicitly authorized means Motorsportgames.com may designate. any use of the Motorsportgames.com Website or its related services that Motorsportgames.com finds, in its sole discretion, to use Motorsportgames.com’s resources or User Submissions with the effect of competing with or displacing the market for Motorsportgames.com, Motorsportgames.com content, or its User Submissions. 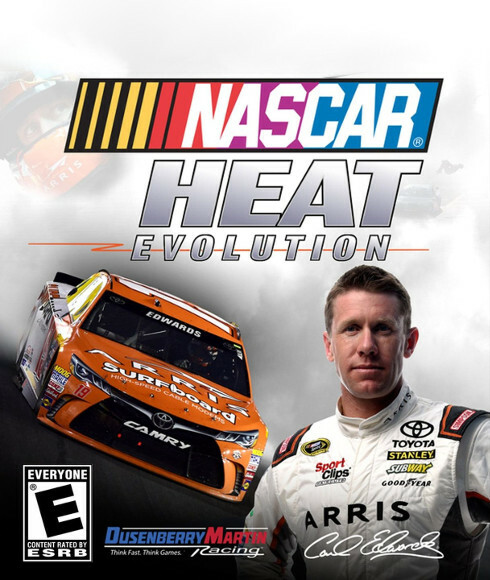 Permitted commercial uses include uploading an original video to Motorsportgames.com, or maintaining an original channel on Motorsportgames.com, to promote your business or racing team, subject to the terms of the Motorsportgames.com Member Agreement, and any other use that Motorsportgames.com expressly authorizes in writing. If you use the Motorsportgames.com embeddable player on your website, you must include a prominent link back to the Motorsportgames.com Website on the pages containing the embeddable player and you may not modify, build upon, or block any portion of Motorsportgames.com’s embeddable player in any way. You agree not to use or launch any automated system, including without limitation, “robots”, “spiders” or “offline readers”, to generate artificial views of Video Content, or to otherwise access the Motorsportgames.com Website in a manner that sends more request messages to the Motorsportgames.com servers in a given period of time than a human can reasonably produce in the same period by using a conventional on-line web browser. Notwithstanding the foregoing, Motorsportgames.com grants the operators of public search engines permission to use spiders to copy materials from the site for the sole purpose of and solely to the extent necessary for creating publicly available searchable indices of the materials, but not caches or archives of such materials. Motorsportgames.com reserves the right to revoke these exceptions either generally or in specific cases. 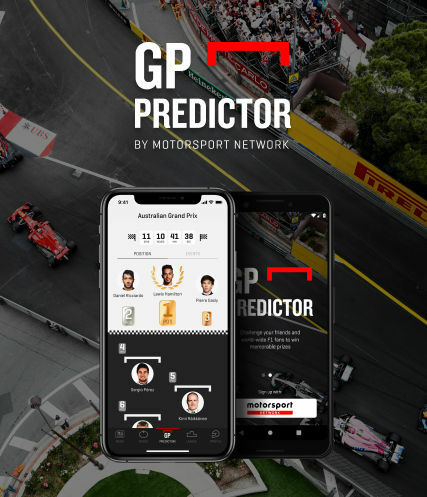 You agree not to collect or harvest any personally identifiable information, including account names, from the Motorsportgames.com Website, nor to use the communication systems provided by the Motorsportgames.com Website (e.g. discussion forums, comments, email) for any commercial solicitation purposes. You agree not to solicit, for commercial purposes, any users of the Motorsportgames.com Website with respect to their User Submissions. The content on the Motorsportgames.com Website, except all User Submissions (as defined below), including without limitation, the text, software, scripts, graphics, photos, sounds, music, videos, interactive features and the like (“Content”) and the trademarks, service marks and logos contained therein (“Marks”), are owned by or licensed to Motorsportgames.com, subject to copyright and other intellectual property rights under the law. Content on the Motorsportgames.com Website is provided to you AS IS for your information and personal use only and may not be downloaded, copied, reproduced, distributed, transmitted, broadcast, displayed, sold, licensed, or otherwise exploited for any other purposes whatsoever without the prior written consent of the respective owners. Motorsportgames.com reserves all rights not expressly granted in and to the Motorsportgames.com Website and its contents. 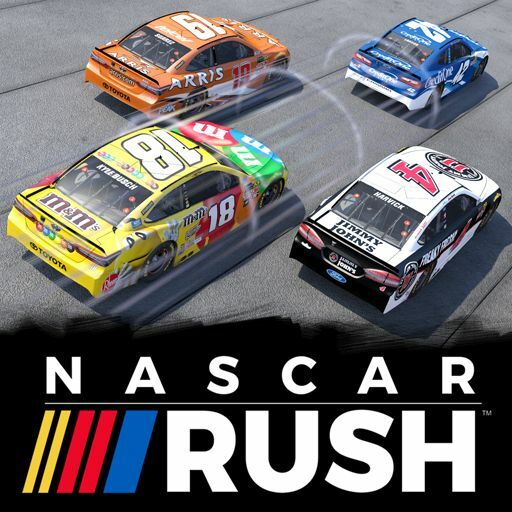 You may access User Submissions solely for your information and personal use, or as otherwise intended through the normal functionality of the Motorsportgames.com Website. User comments are made available to you for your information and personal use solely as intended through the normal functionality of the Motorsportgames.com Website. User comments are made available “as is”, and may not be used, copied, reproduced, distributed, transmitted, broadcast, displayed, sold, licensed, downloaded, or otherwise exploited in any manner not intended by the normal functionality of the Motorsportgames.com Website or otherwise as prohibited under this Agreement. You may access Motorsportgames.com Content, User Submissions and other content only as permitted under this Agreement. Motorsportgames.com reserves all rights not expressly granted in and to the Motorsportgames.com Content and the Motorsportgames.com Website. 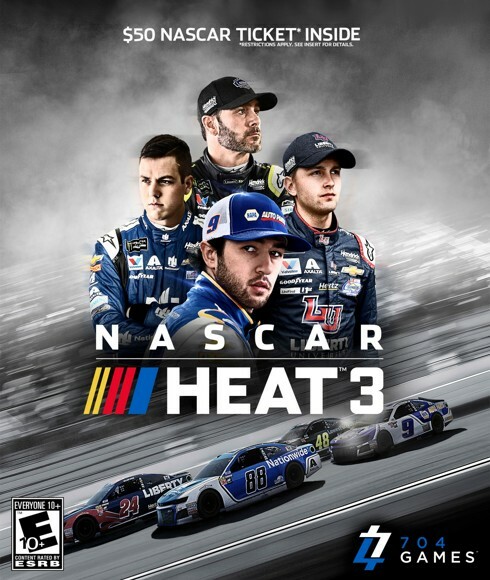 You agree to not engage in the use, copying, or distribution of any of the Content other than as expressly permitted herein, including any use, copying, or distribution of User Submissions of third parties obtained through the Motorsportgames.com Website for any commercial purposes. You agree not to circumvent, disable or otherwise interfere with security-related features of the Motorsportgames.com Website or features that prevent or restrict use or copying of any Content or enforce limitations on use of the Motorsportgames.com Website or it’s Content. You understand that when using the Motorsportgames.com Website, you will be exposed to User Submissions from a variety of sources, and that Motorsportgames.com is not responsible for the accuracy, functionality, safety, or intellectual property rights of or relating to such User Submissions. 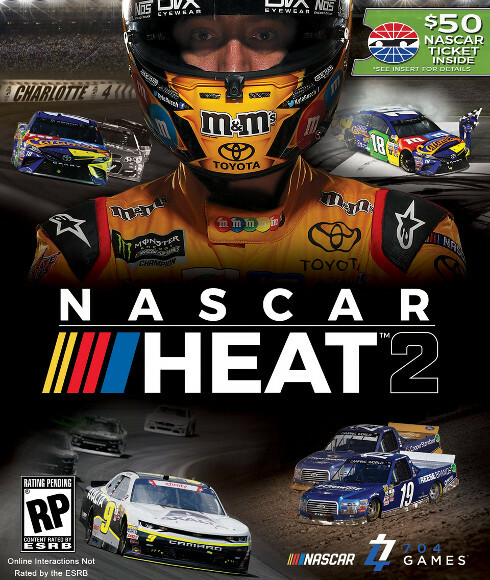 You further understand and acknowledge that you may be exposed to User Submissions that are inaccurate, offensive, indecent, or objectionable, and you agree to waive, and hereby do waive, any legal or equitable rights or remedies you have or may have against Motorsportgames.com with respect thereto, and agree to indemnify and hold Motorsportgames.com, its owners/operators, affiliates, and/or licensors, harmless to the fullest extent allowed by law regarding all matters related to your use of the Motorsportgames.com Website. Motorsportgames.com reserves the right to decide whether Content or a User Submission is appropriate for display on the Motorsportgames.com Website, and Motorsportgames.com may remove any User Submissions or Content at any time, without prior notice, in its sole discretion. Notifications of claimed infringement should be emailed to copyright@Motorsportgames.com. You acknowledge that if you fail to comply with all of the requirements of this Section 8(A), your DMCA notice may not be valid. YOU AGREE THAT YOUR USE OF THE MOTORSPORTGAMES.COM WEBSITE SHALL BE AT YOUR SOLE RISK. 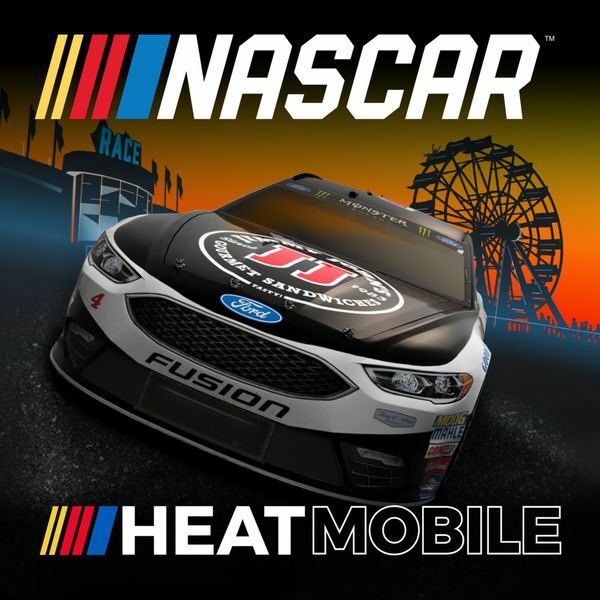 TO THE FULLEST EXTENT PERMITTED BY LAW, MOTORSPORTGAMES.COM, ITS OFFICERS, DIRECTORS, EMPLOYEES, AND AGENTS DISCLAIM ALL WARRANTIES, EXPRESS OR IMPLIED, IN CONNECTION WITH THE MOTORSPORTGAMES.COM WEBSITE AND YOUR USE THEREOF. MOTORSPORTGAMES.COM MAKES NO WARRANTIES OR REPRESENTATIONS ABOUT THE ACCURACY OR COMPLETENESS OF THIS SITE’S CONTENT OR THE CONTENT OF ANY SITES LINKED TO THIS SITE AND ASSUMES NO LIABILITY OR RESPONSIBILITY FOR ANY (I) ERRORS, MISTAKES, OR INACCURACIES OF CONTENT, (II) PERSONAL INJURY OR PROPERTY DAMAGE, OF ANY NATURE WHATSOEVER, RESULTING FROM YOUR ACCESS TO AND USE OF THE MOTORSPORTGAMES.COM WEBSITE, (III) ANY UNAUTHORIZED ACCESS TO OR USE OF OUR SECURE SERVERS AND/OR ANY AND ALL PERSONAL INFORMATION AND/OR FINANCIAL INFORMATION STORED THEREIN, (IV) ANY INTERRUPTION OR CESSATION OF TRANSMISSION TO OR FROM THE MOTORSPORTGAMES.COM WEBSITE, (IV) ANY BUGS, VIRUSES, TROJAN HORSES, OR THE LIKE WHICH MAY BE TRANSMITTED TO OR THROUGH THE MOTORSPORTGAMES.COM WEBSITE BY ANY THIRD PARTY, AND/OR (V) ANY ERRORS OR OMISSIONS IN ANY CONTENT OR FOR ANY LOSS OR DAMAGE OF ANY KIND INCURRED AS A RESULT OF THE USE OF ANY CONTENT POSTED, EMAILED, TRANSMITTED, OR OTHERWISE MADE AVAILABLE VIA THE MOTORSPORTGAMES.COM WEBSITE. MOTORSPORTGAMES.COM DOES NOT WARRANT, ENDORSE, GUARANTEE, OR ASSUME RESPONSIBILITY FOR ANY PRODUCT OR SERVICE ADVERTISED OR OFFERED BY A THIRD PARTY THROUGH THE MOTORSPORTGAMES.COM WEBSITE OR ANY HYPERLINKED WEBSITE OR FEATURED IN ANY BANNER OR OTHER ADVERTISING, AND MOTORSPORTGAMES.COM WILL NOT BE A PARTY TO OR IN ANY WAY BE RESPONSIBLE FOR MONITORING ANY TRANSACTION BETWEEN YOU AND THIRD-PARTY PROVIDERS OF PRODUCTS OR SERVICES. AS WITH THE PURCHASE OF A PRODUCT OR SERVICE THROUGH ANY MEDIUM OR IN ANY ENVIRONMENT, YOU SHOULD USE YOUR BEST JUDGMENT AND EXERCISE CAUTION WHERE APPROPRIATE. IN NO EVENT SHALL MOTORSPORTGAMES.COM, ITS OFFICERS, DIRECTORS, EMPLOYEES, OR AGENTS, BE LIABLE TO YOU FOR ANY DIRECT, INDIRECT, INCIDENTAL, SPECIAL, PUNITIVE, OR CONSEQUENTIAL DAMAGES WHATSOEVER RESULTING FROM ANY (I) ERRORS, MISTAKES, OR INACCURACIES OF CONTENT, (II) PERSONAL INJURY OR PROPERTY DAMAGE, OF ANY NATURE WHATSOEVER, RESULTING FROM YOUR ACCESS TO AND USE OF THE MOTORSPORTGAMES.COM WEBSITE, (III) ANY UNAUTHORIZED ACCESS TO OR USE OF OUR SECURE SERVERS AND/OR ANY AND ALL PERSONAL INFORMATION AND/OR FINANCIAL INFORMATION STORED THEREIN, (IV) ANY INTERRUPTION OR CESSATION OF TRANSMISSION TO OR FROM THE MOTORSPORTGAMES.COM WEBSITE, (IV) ANY BUGS, VIRUSES, TROJAN HORSES, OR THE LIKE, WHICH MAY BE TRANSMITTED TO OR THROUGH THE MOTORSPORTGAMES.COM WEBSITE BY ANY THIRD PARTY, AND/OR (V) ANY ERRORS OR OMISSIONS IN ANY CONTENT OR FOR ANY LOSS OR DAMAGE OF ANY KIND INCURRED AS A RESULT OF YOUR USE OF ANY CONTENT POSTED, EMAILED, TRANSMITTED, OR OTHERWISE MADE AVAILABLE VIA THE MOTORSPORTGAMES.COM WEBSITE, WHETHER BASED ON WARRANTY, CONTRACT, TORT, OR ANY OTHER LEGAL THEORY, AND WHETHER OR NOT THE COMPANY IS ADVISED OF THE POSSIBILITY OF SUCH DAMAGES. THE FOREGOING LIMITATION OF LIABILITY SHALL APPLY TO THE FULLEST EXTENT PERMITTED BY LAW IN THE APPLICABLE JURISDICTION. YOU SPECIFICALLY ACKNOWLEDGE THAT MOTORSPORTGAMES.COM SHALL NOT BE LIABLE FOR USER SUBMISSIONS OR THE DEFAMATORY, OFFENSIVE, OR ILLEGAL CONDUCT OF ANY THIRD PARTY AND THAT THE RISK OF HARM OR DAMAGE FROM THE FOREGOING RESTS ENTIRELY WITH YOU. The Motorsportgames.com Website is controlled and offered by Motorsportgames.com from its facilities in the United States of America. Motorsportgames.com makes no representations that the Motorsportgames.com Website is appropriate or available for use in other locations. Those who access or use the Motorsportgames.com Website from other jurisdictions do so at their own volition and are responsible for compliance with local law.